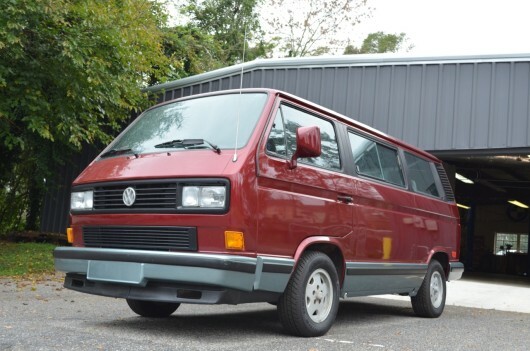 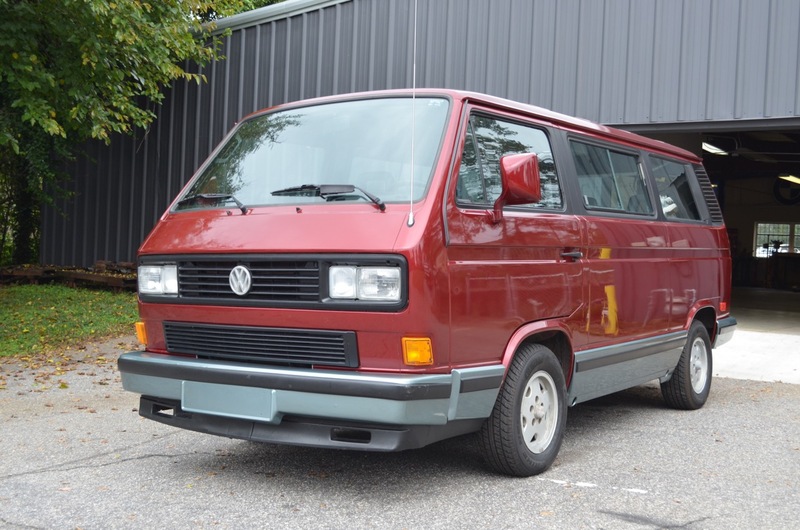 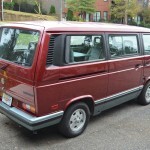 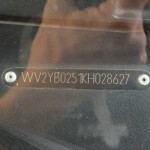 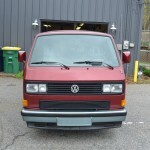 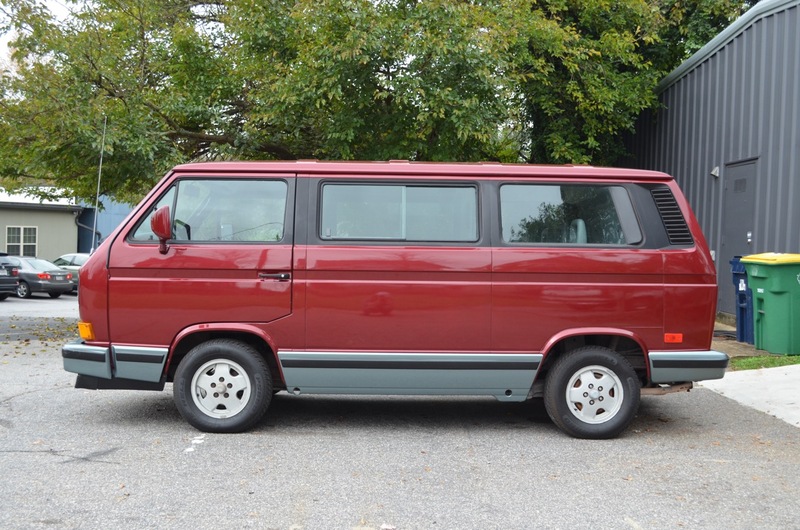 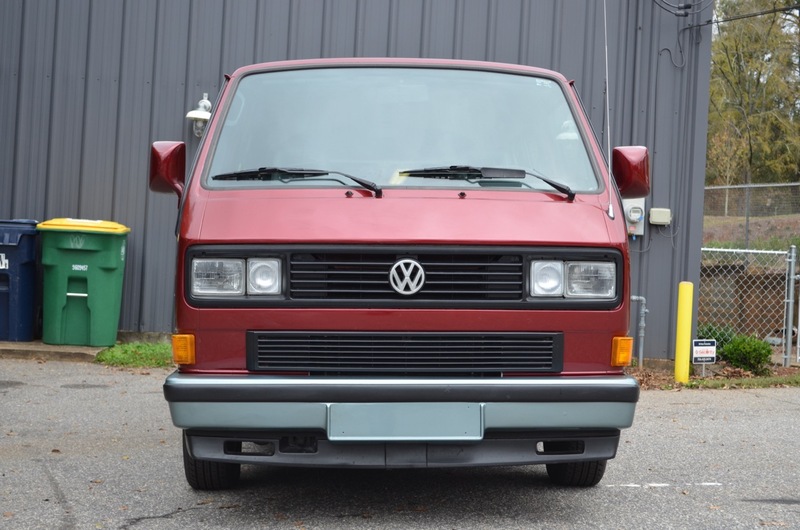 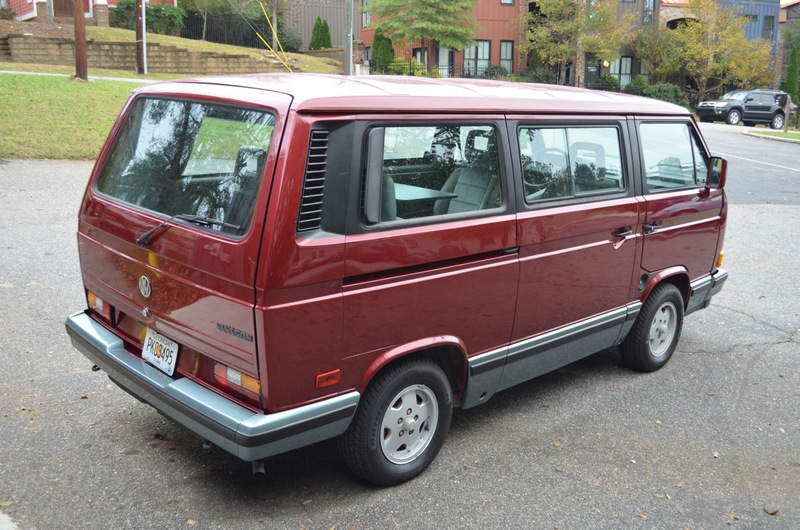 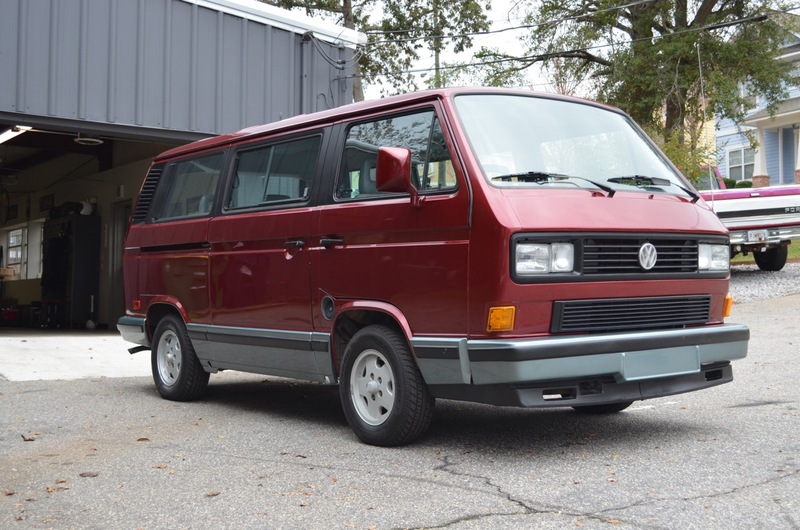 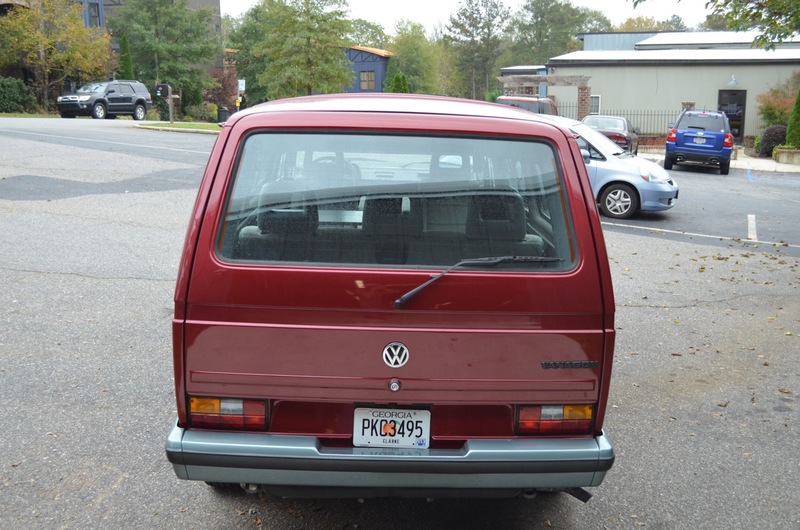 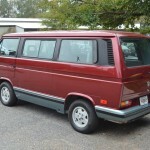 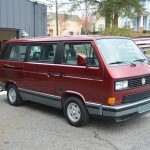 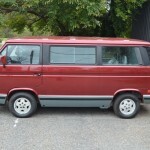 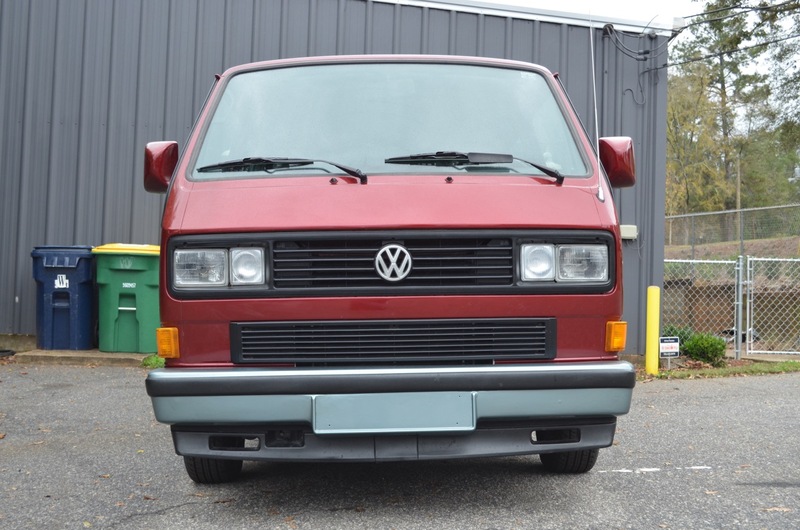 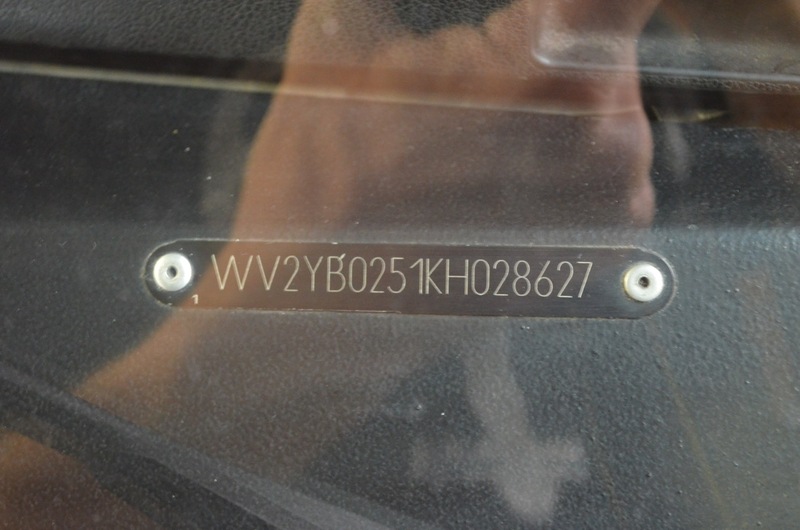 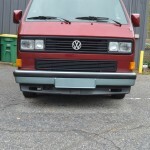 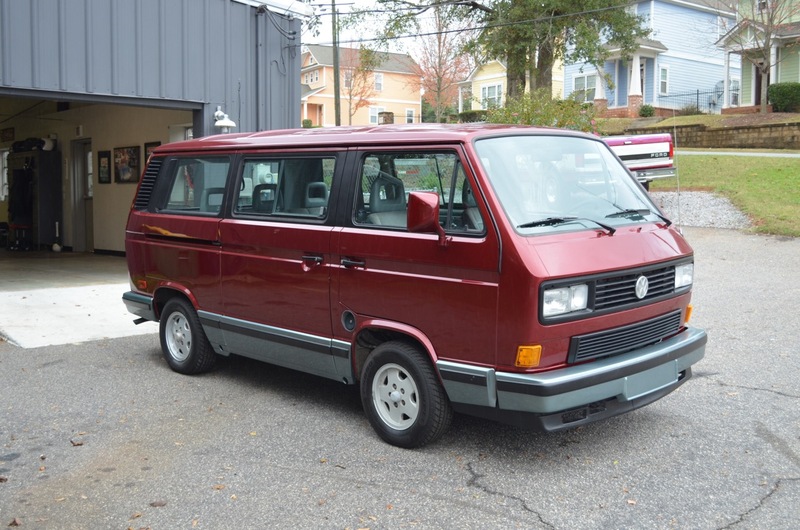 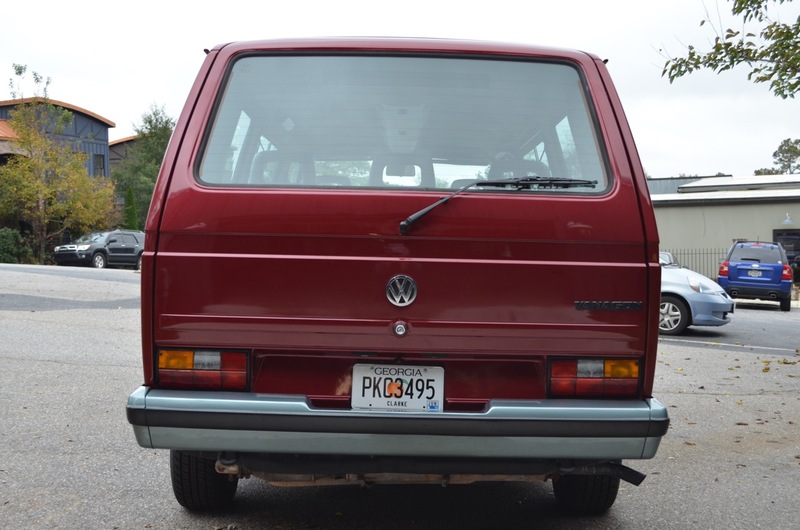 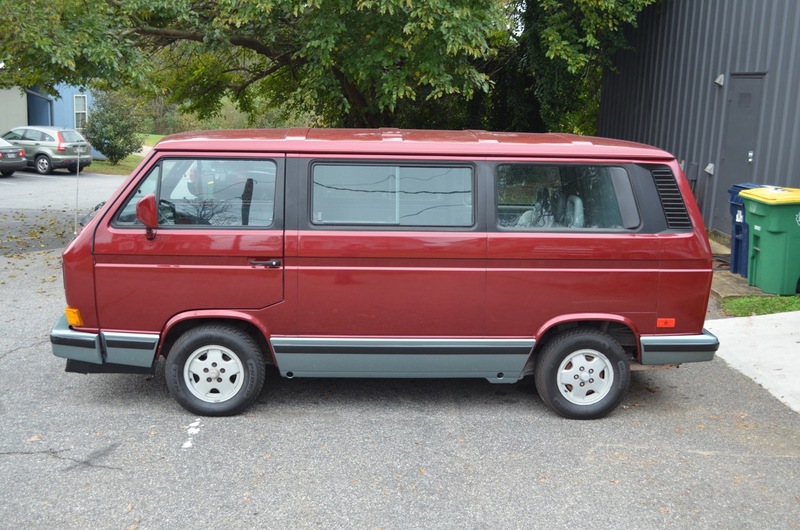 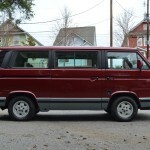 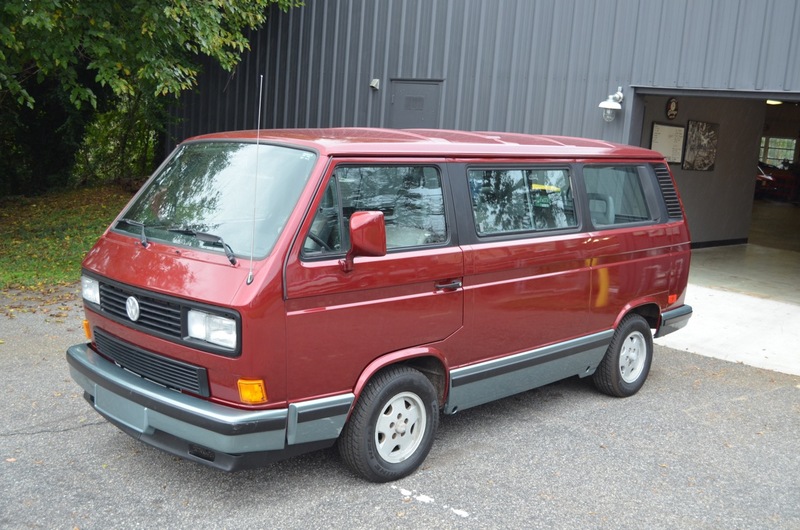 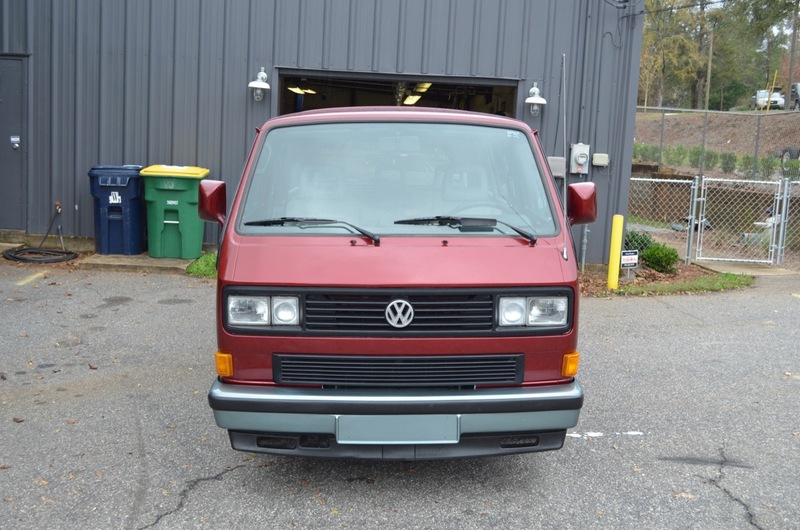 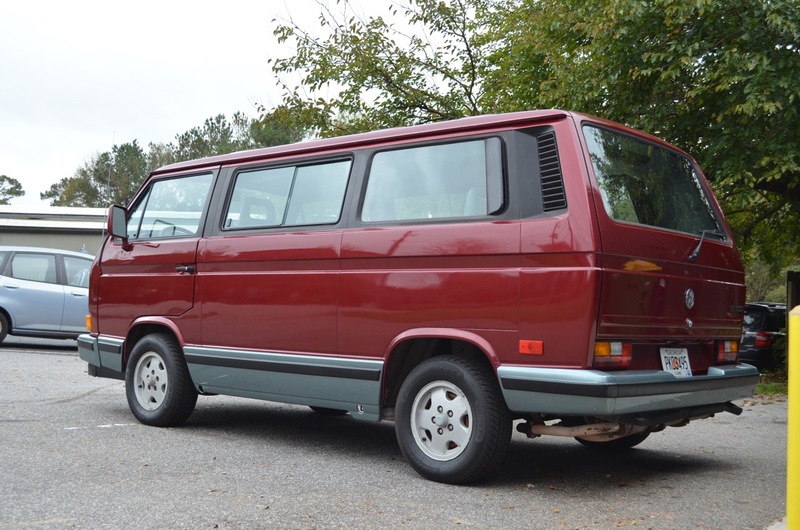 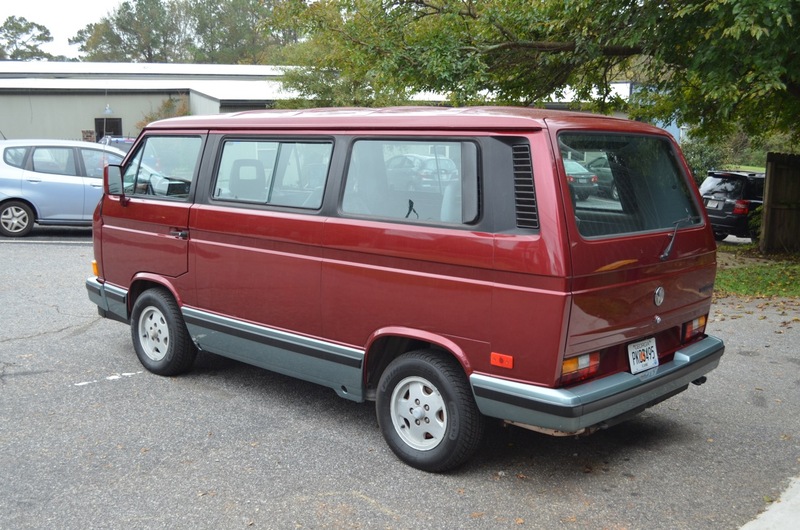 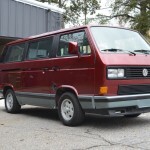 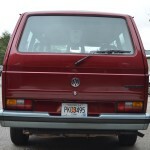 Found here on The Samba is an ’89 VW Vanagon Carat Edition. 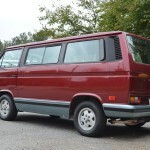 The Carats are some of the most desirable of the non-poptop Vanagons. 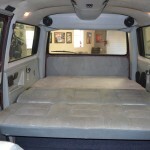 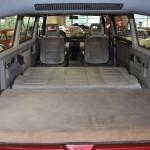 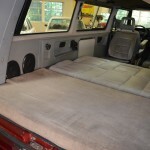 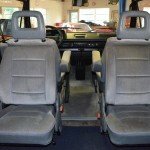 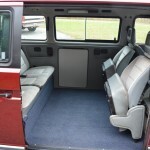 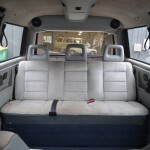 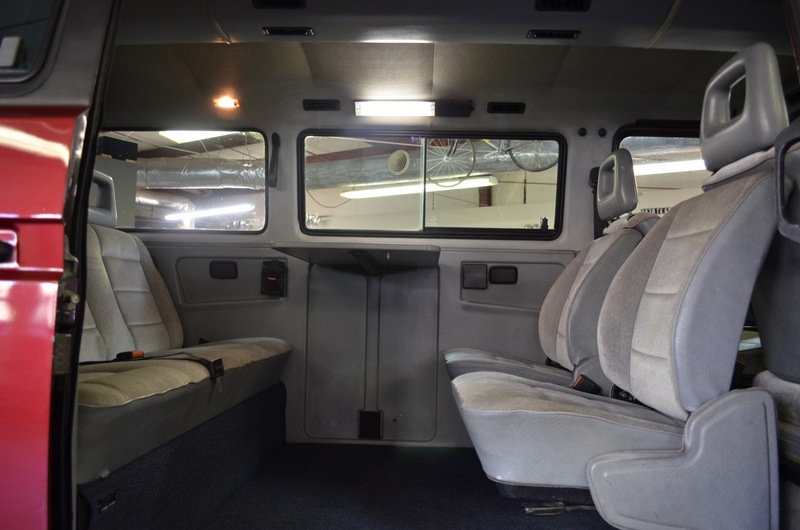 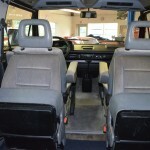 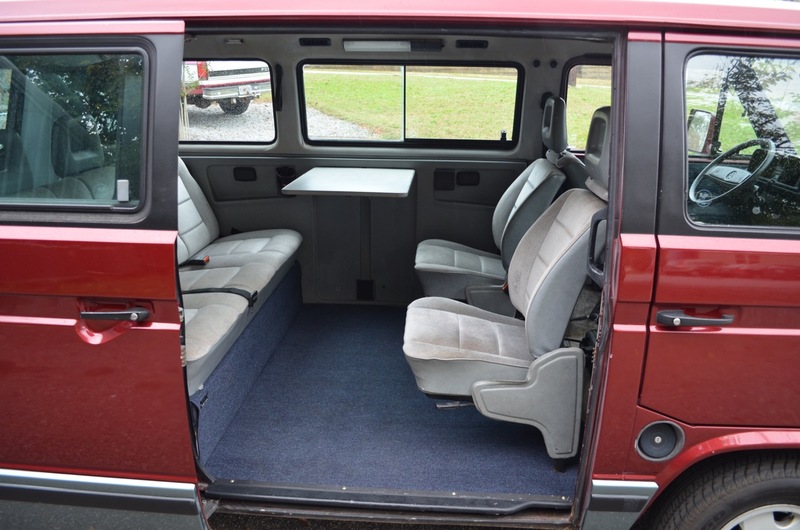 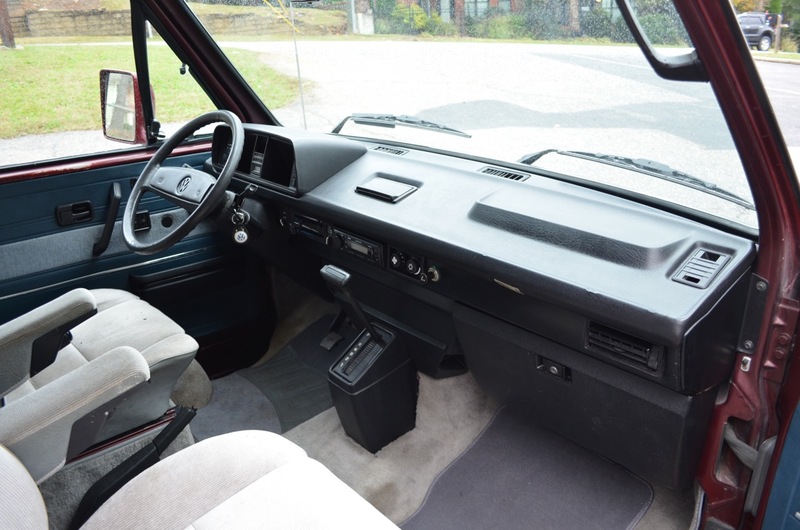 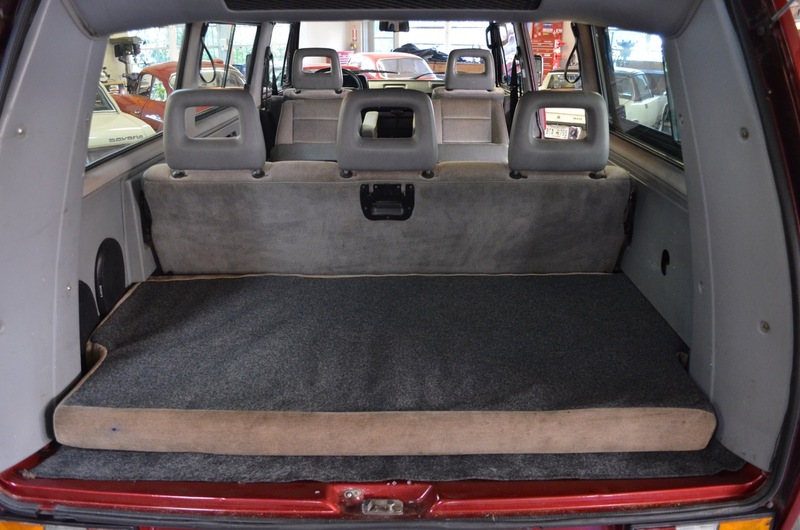 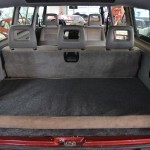 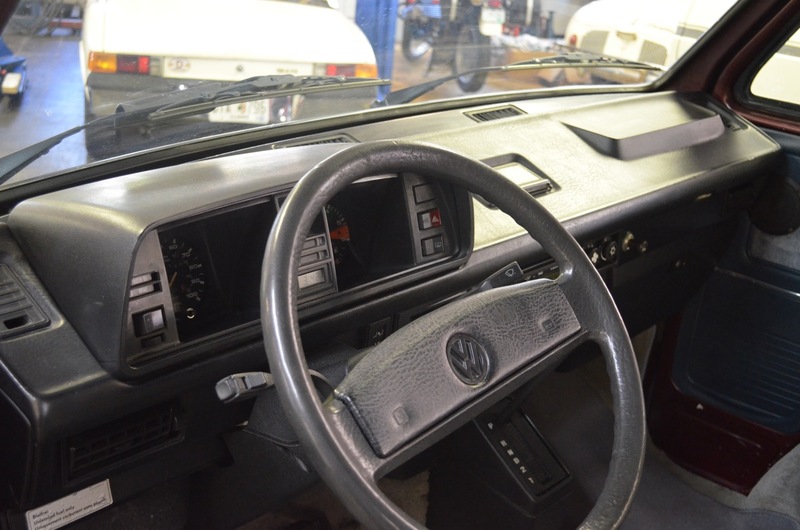 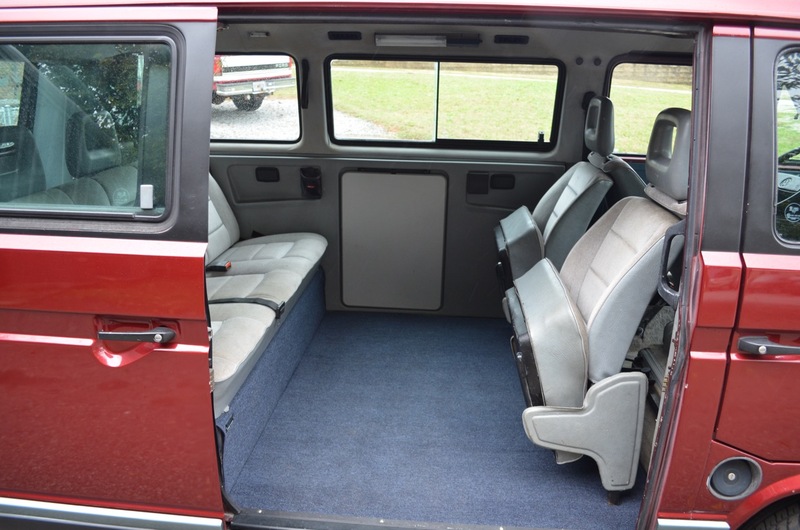 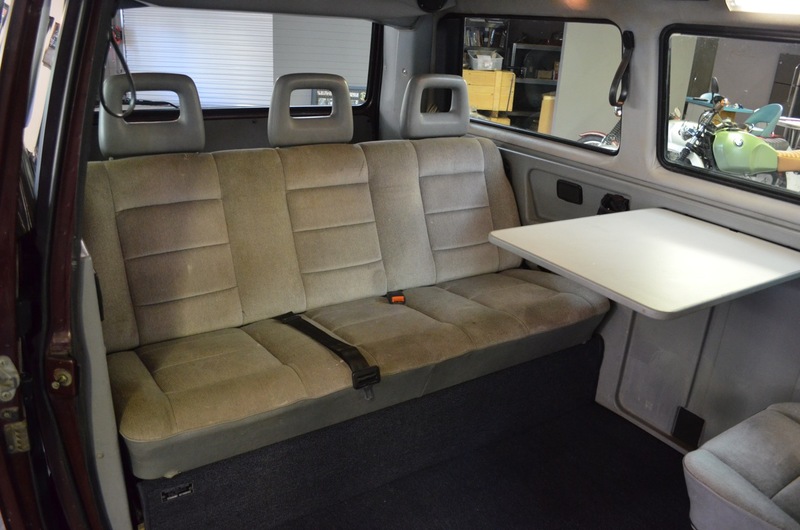 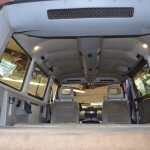 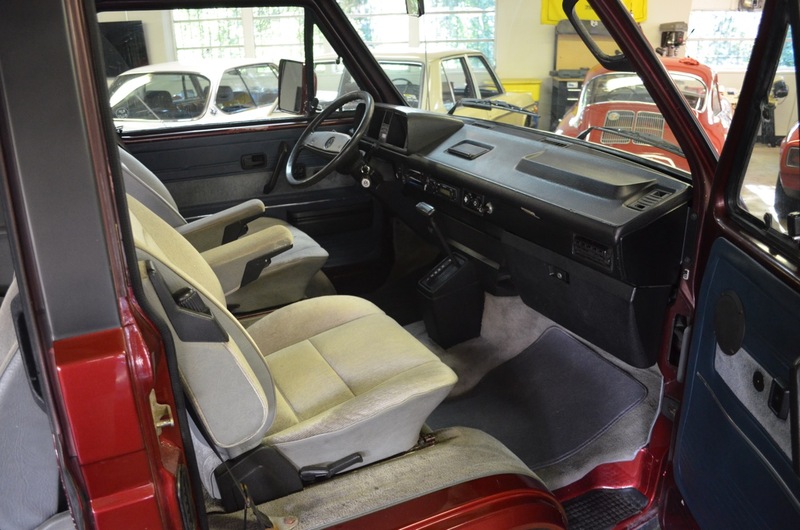 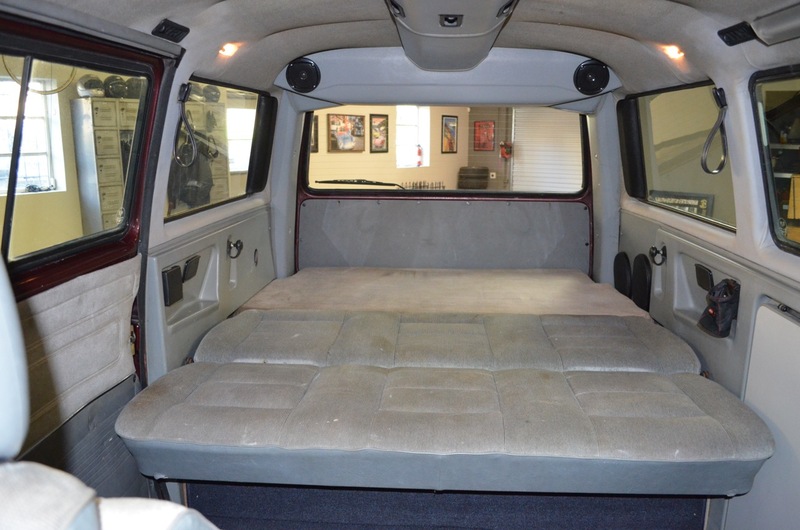 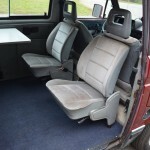 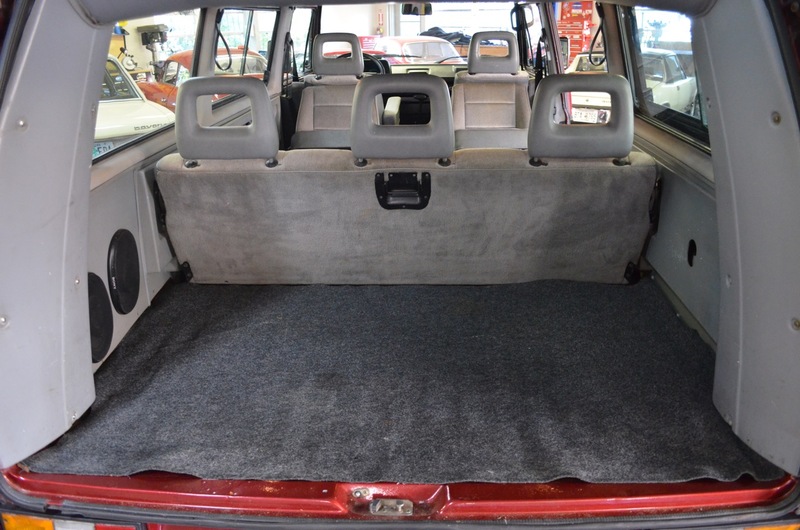 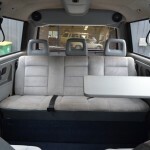 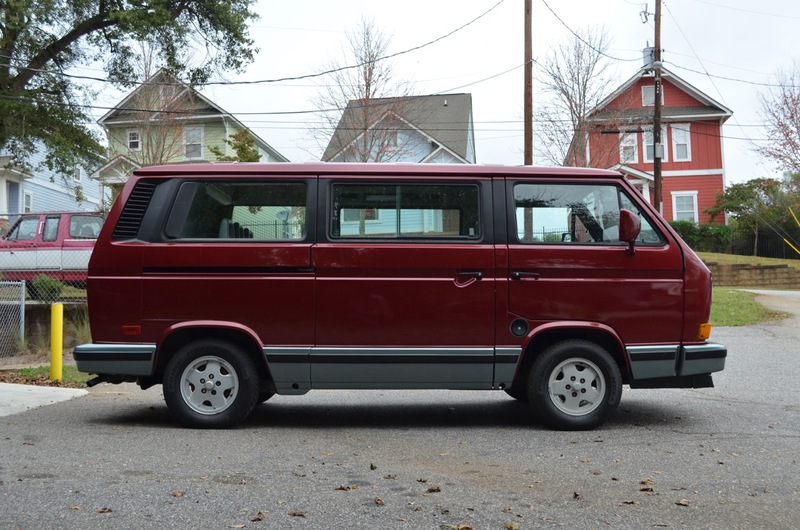 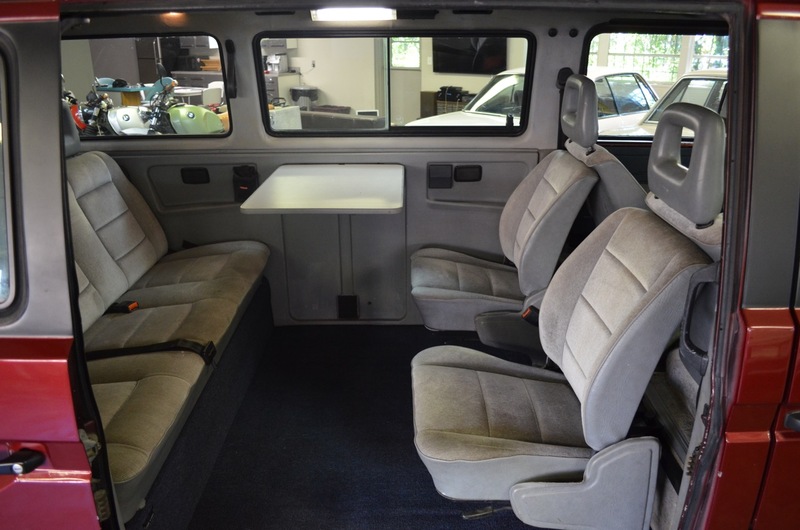 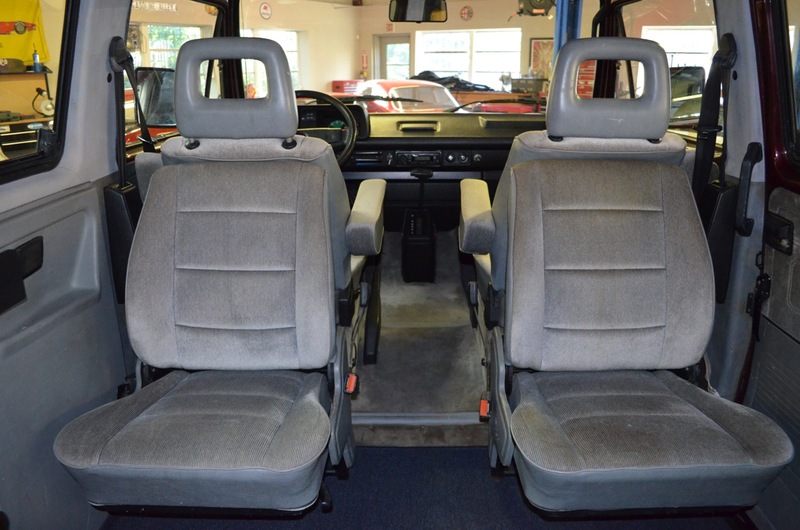 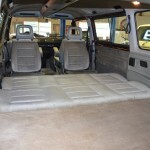 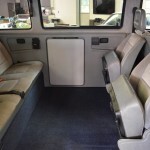 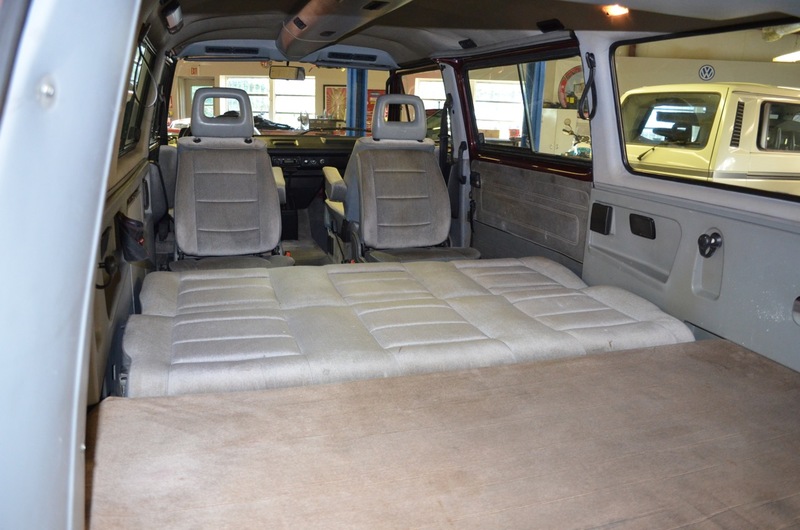 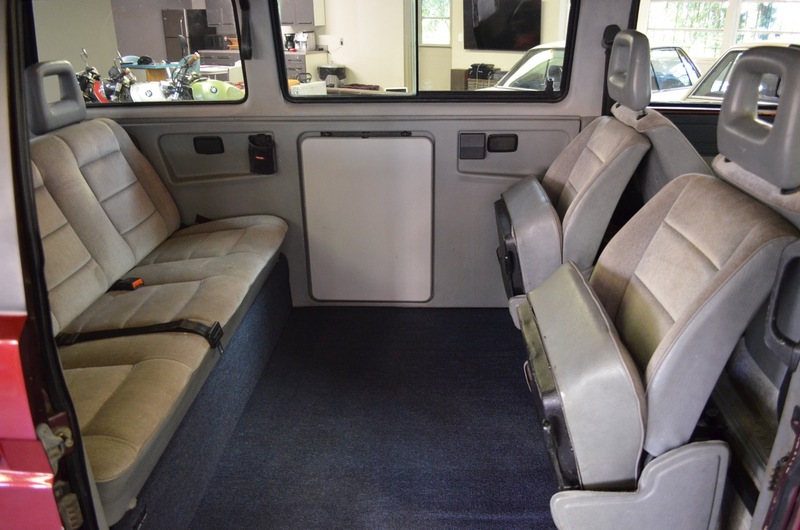 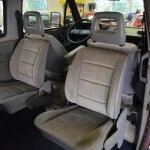 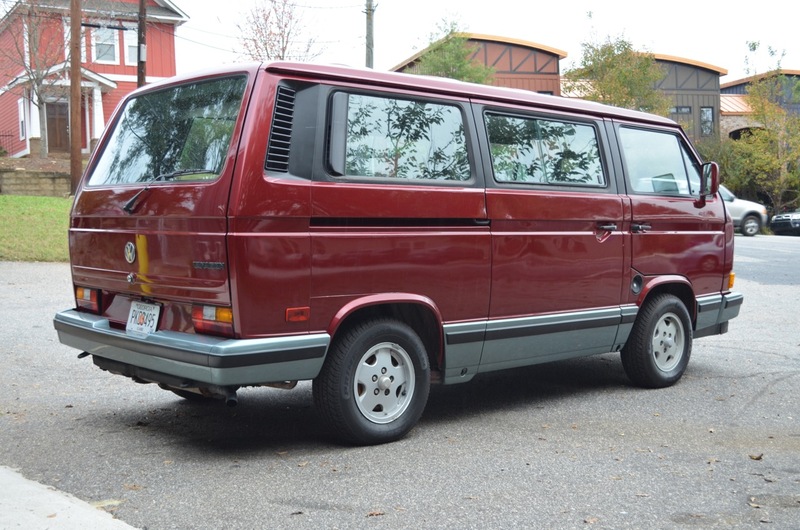 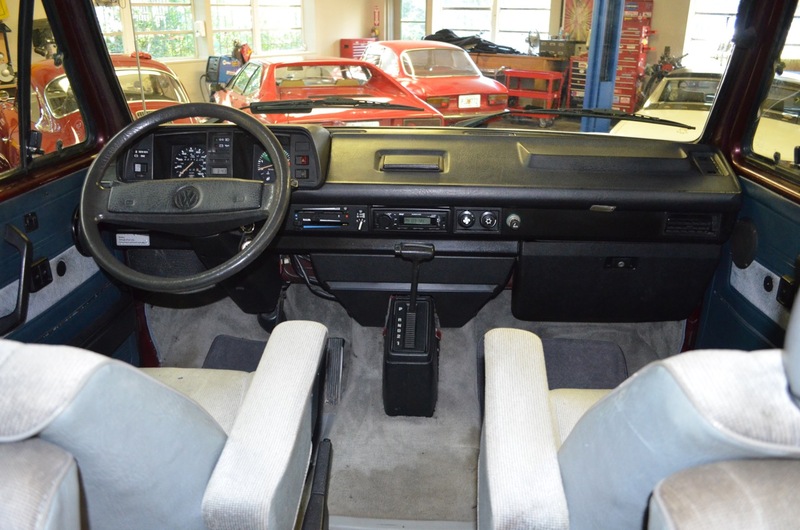 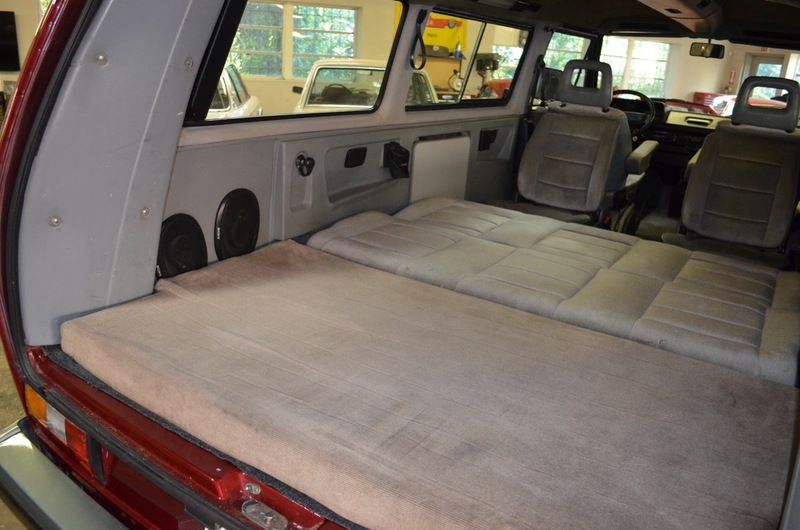 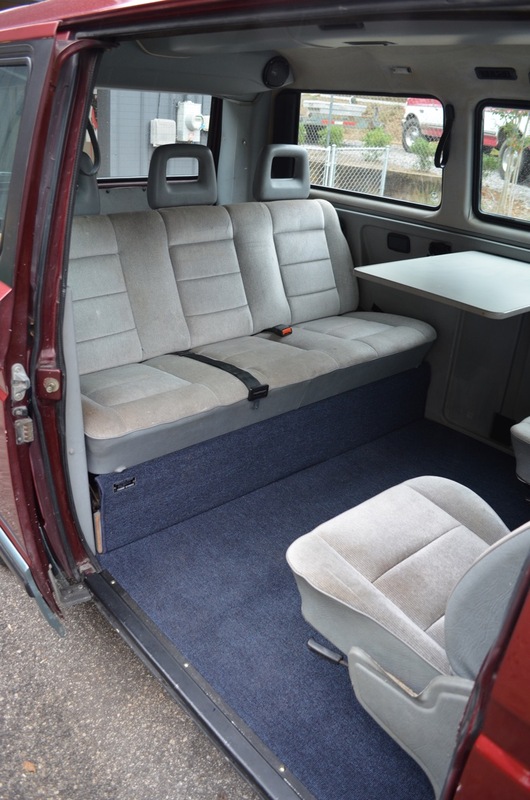 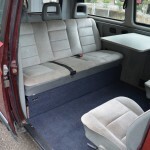 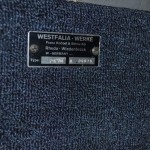 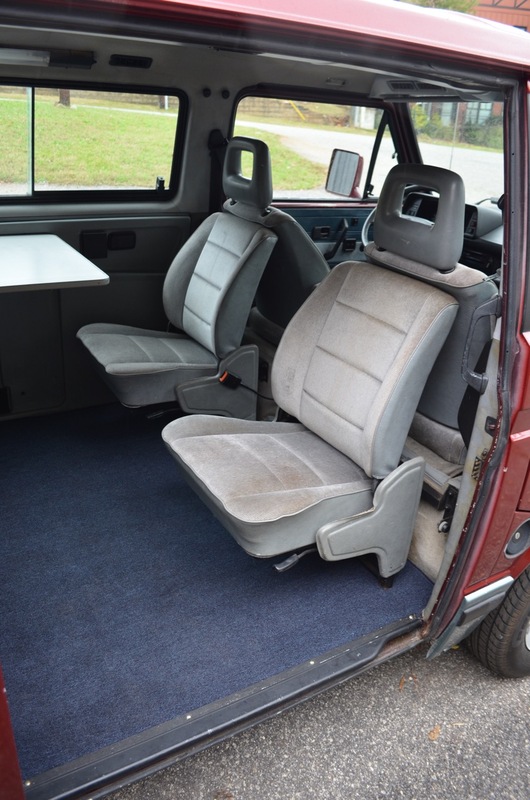 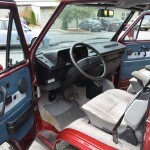 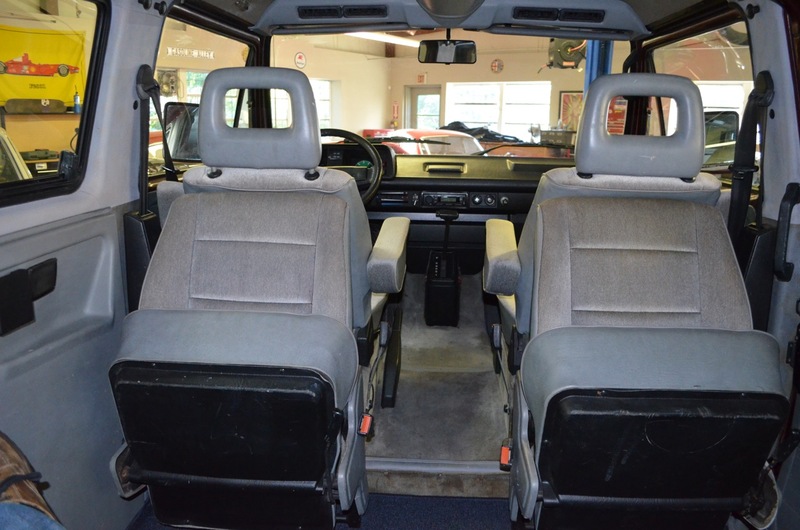 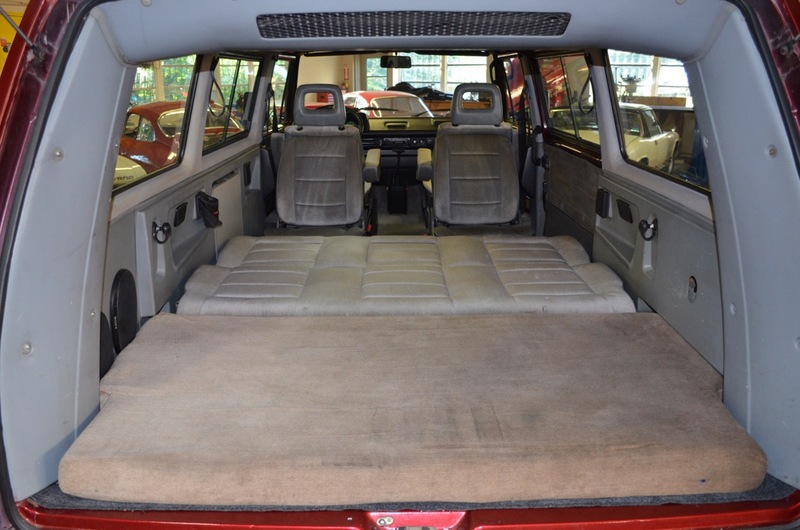 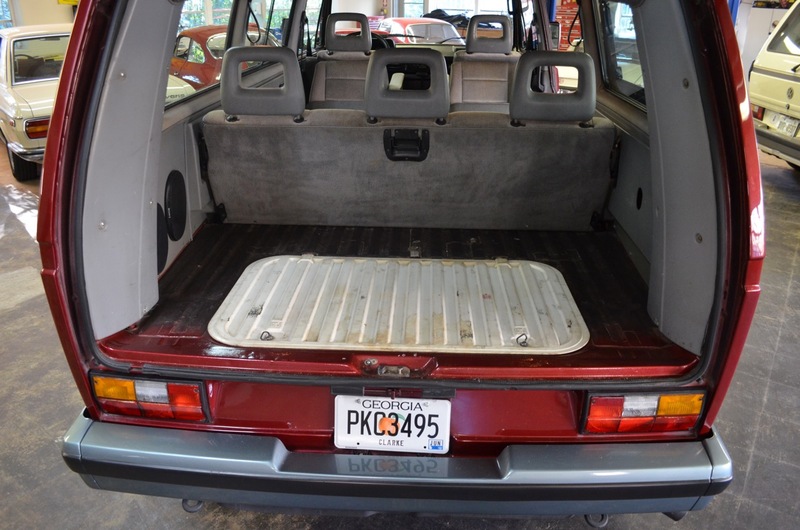 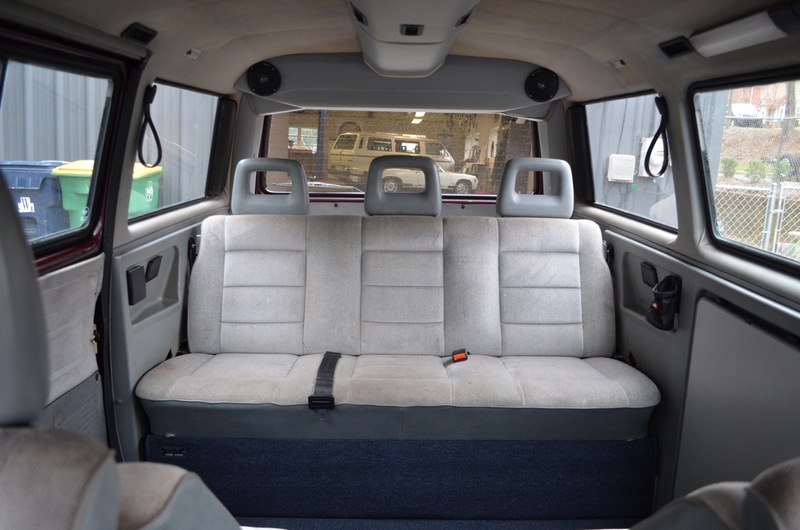 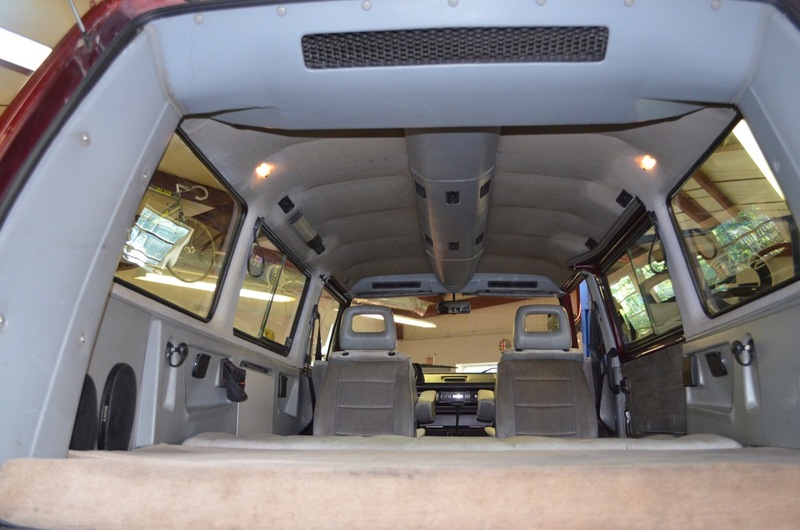 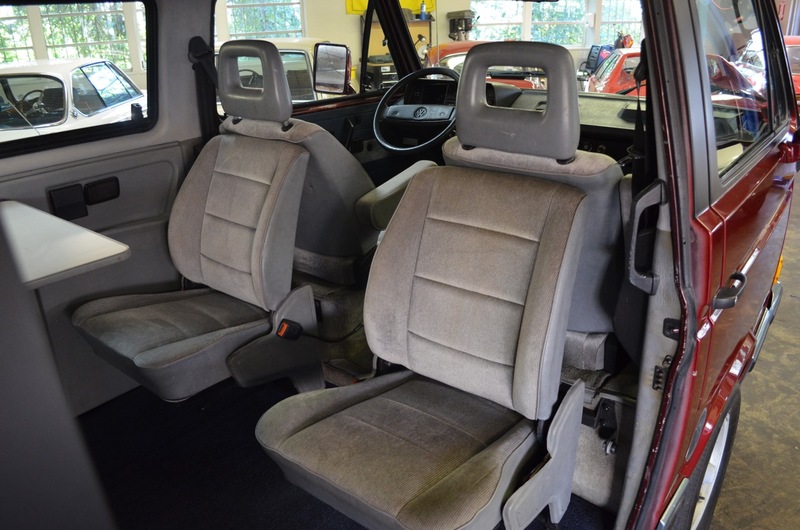 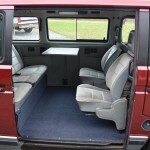 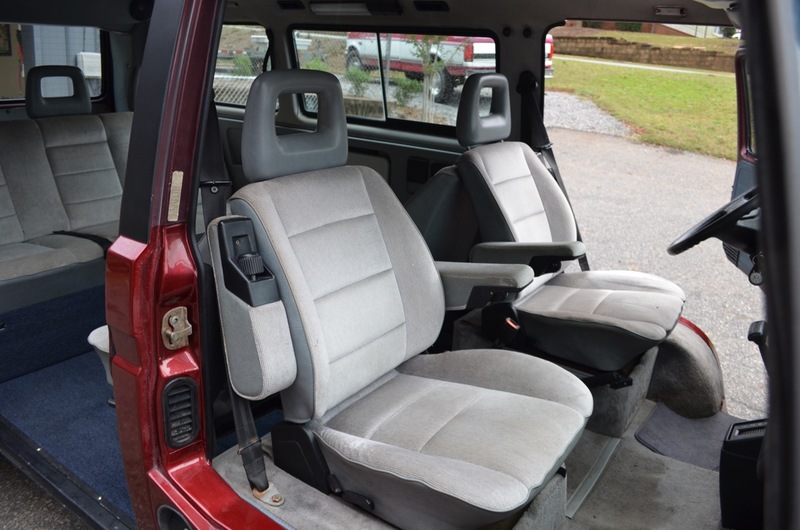 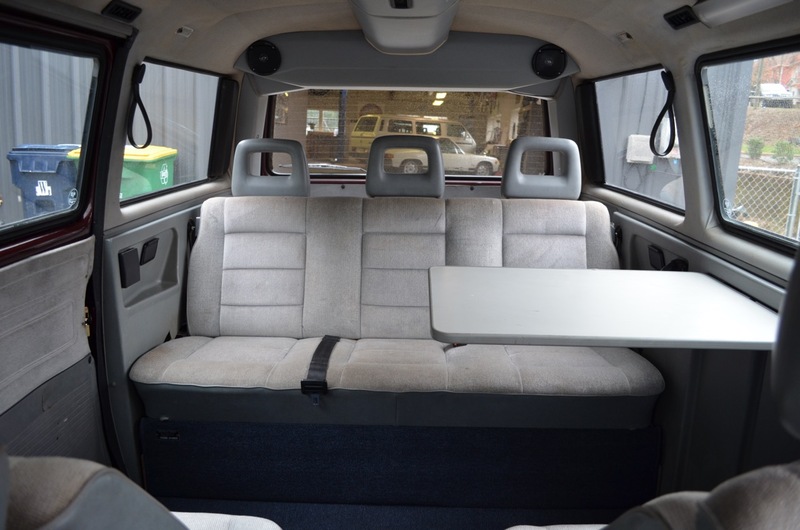 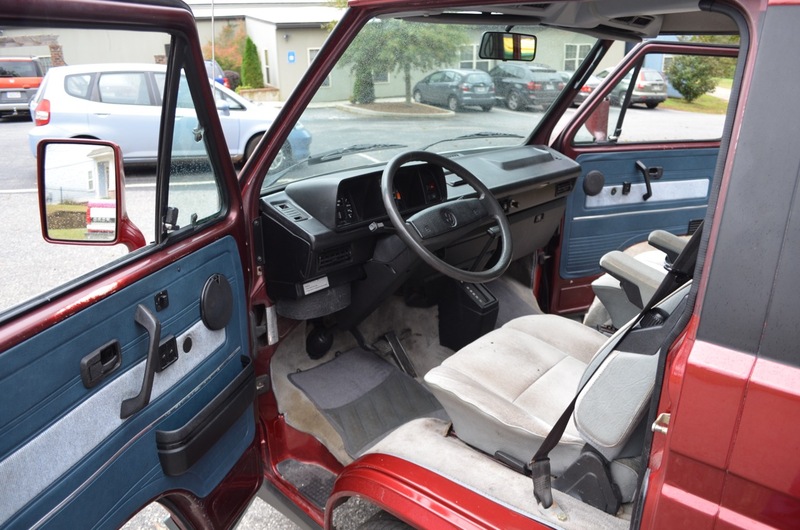 Westfalia built backwards facing foldable jump seats, pop-up table, extra lighting, cup holders and a full size Z bed set these apart from traditional Vanagon L and GL models. 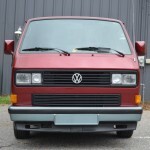 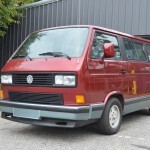 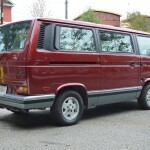 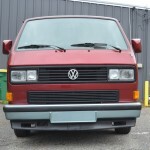 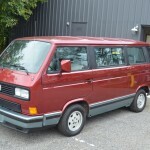 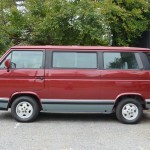 1989 was the second year of the last iteration of the Vanagon line. 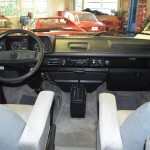 Updates include a lowered ride height, smaller steering wheel and factory body kit with ground effects. 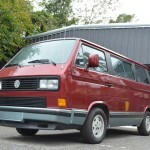 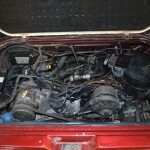 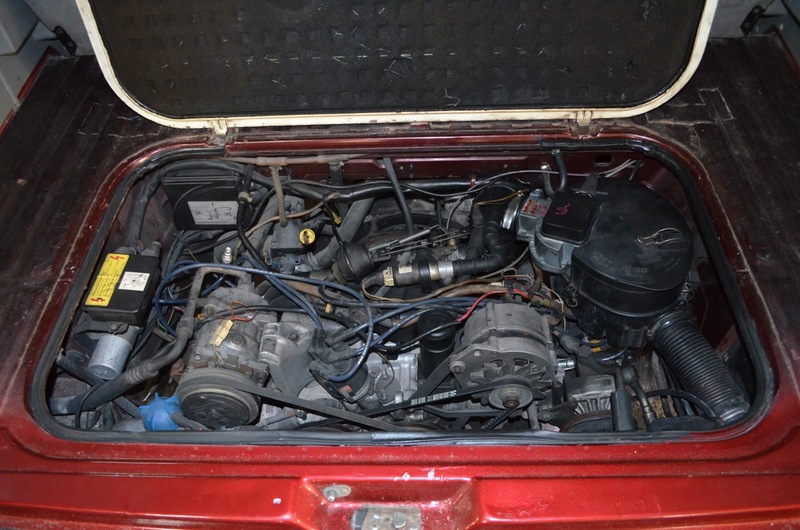 The 2.1 liter wasser-boxer flat four runs great and has roughly 45k miles on a top-end rebuild. 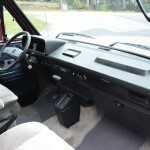 This bus has the three speed automatic gear box that shifts smoothly in all gears. 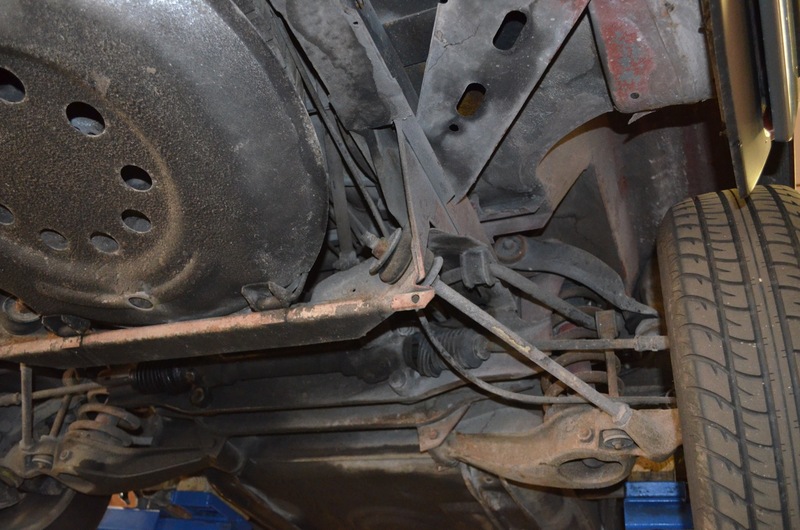 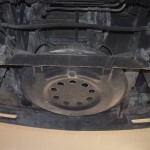 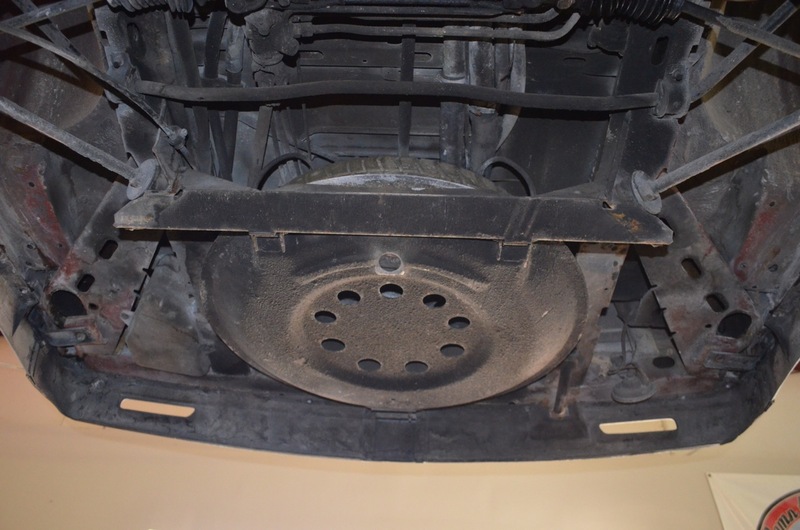 Recent work includes front brake rotors and pads, rear brake drums and shoes and a new master cylinder. 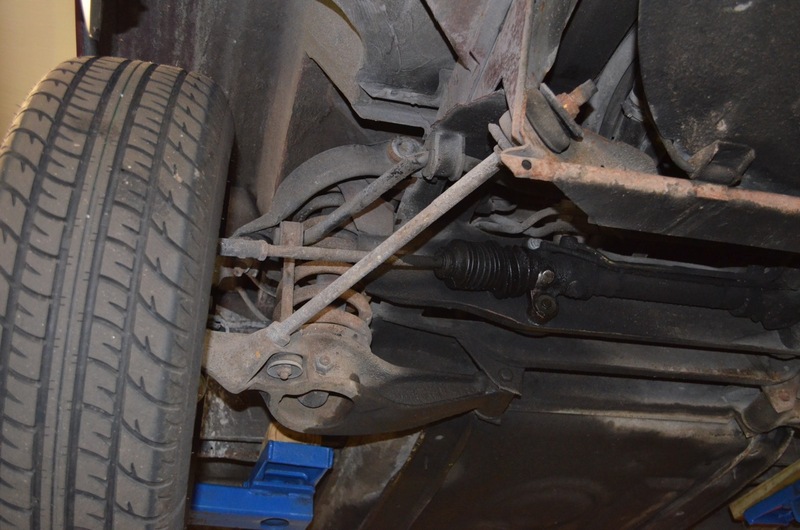 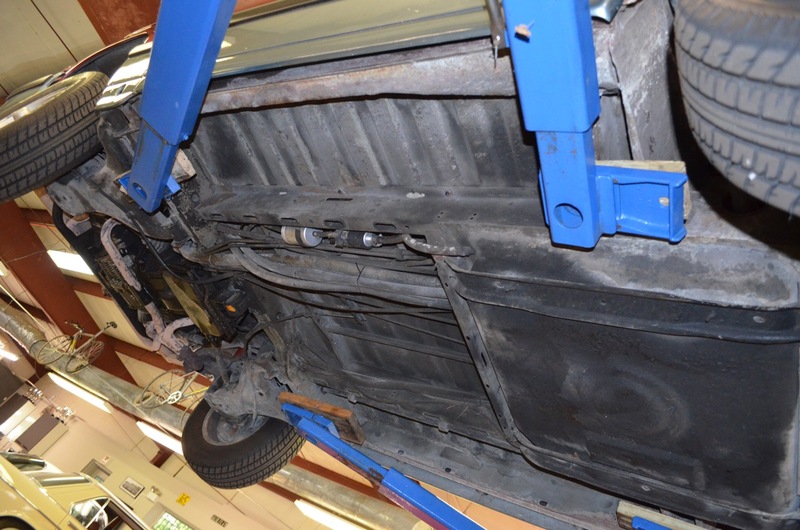 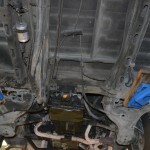 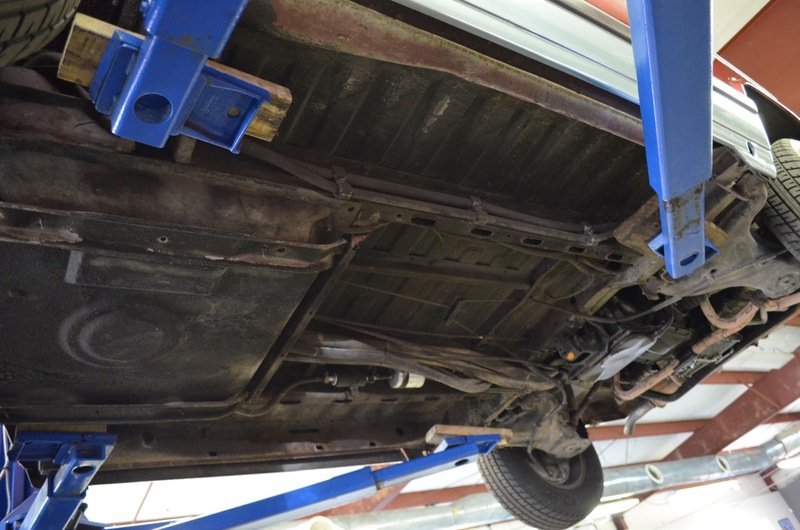 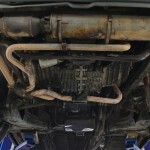 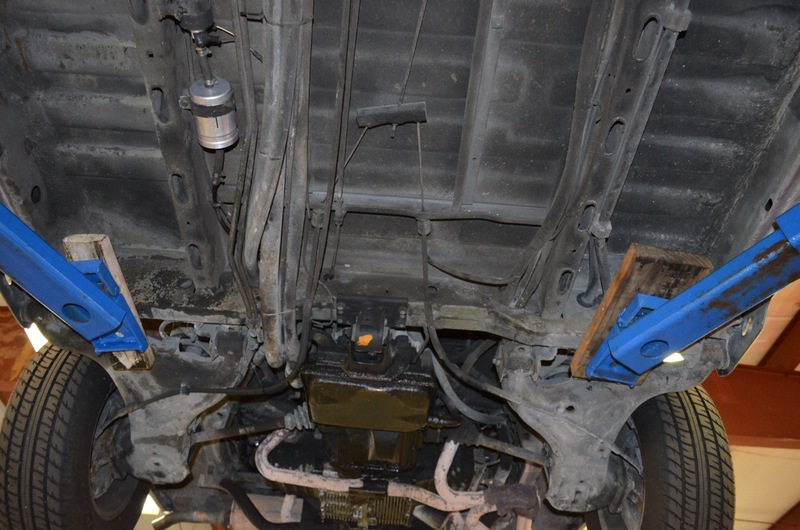 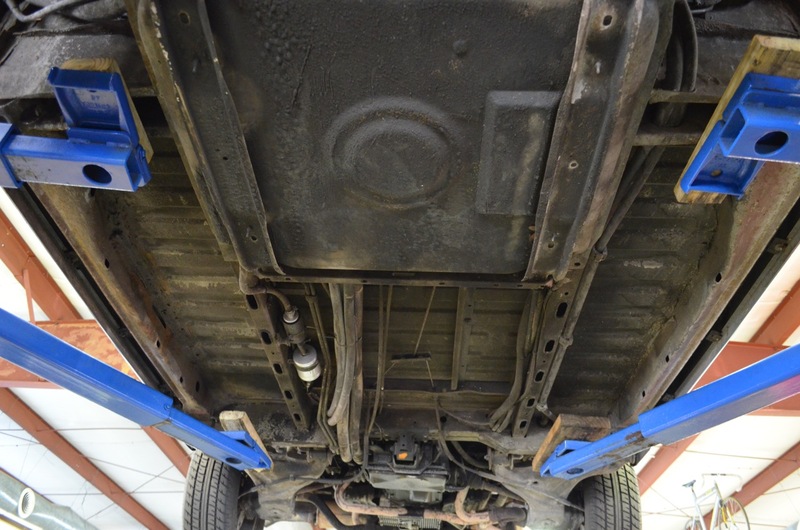 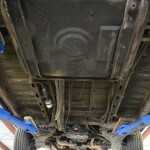 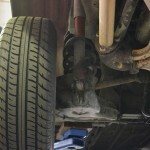 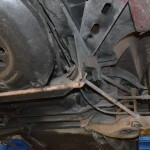 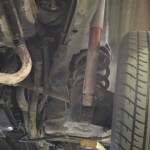 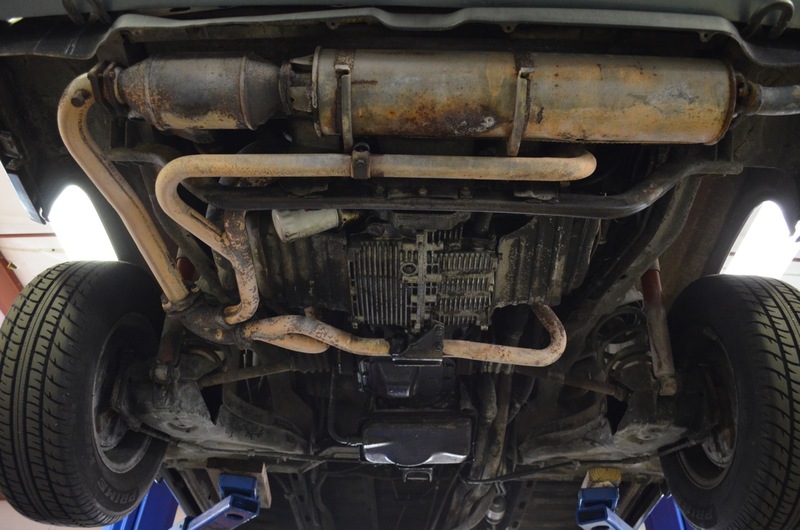 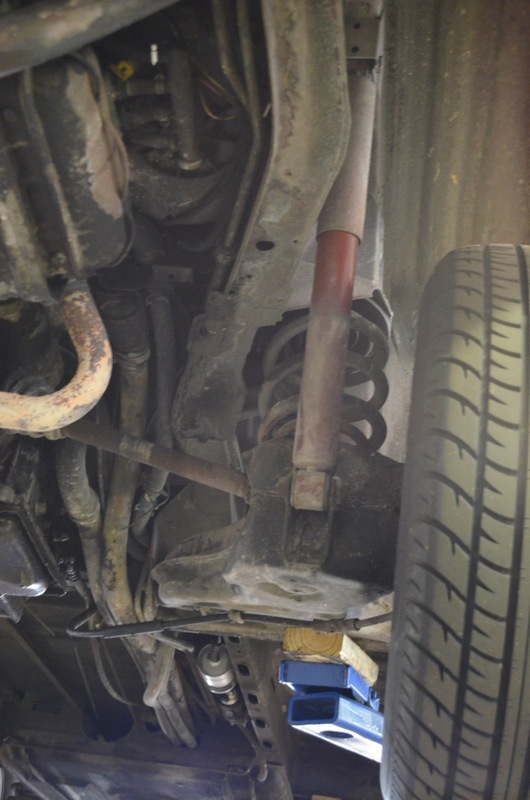 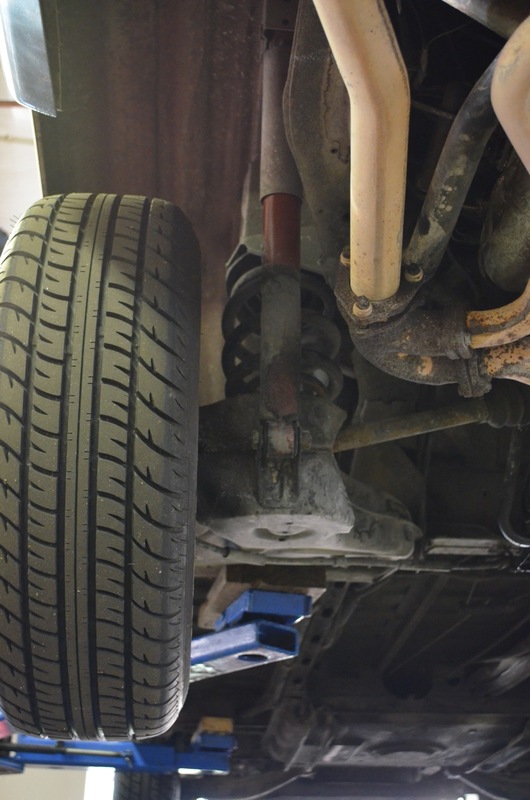 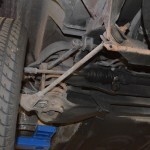 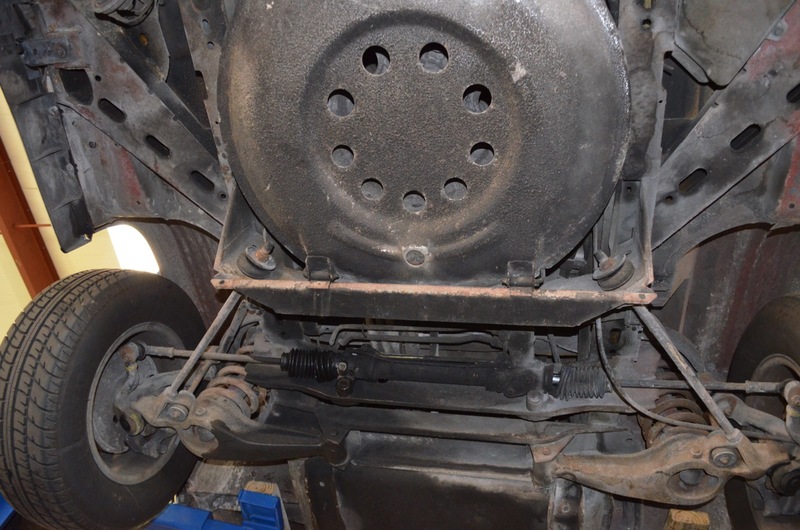 A new fuel pump and filter were installed in June and new tires were installed in April. 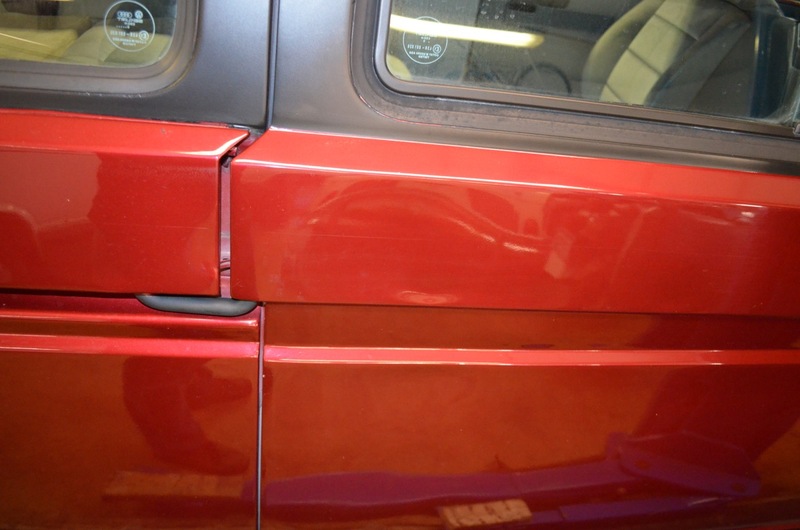 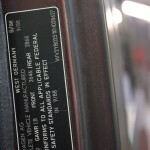 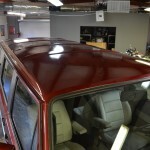 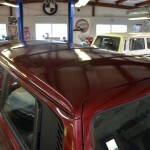 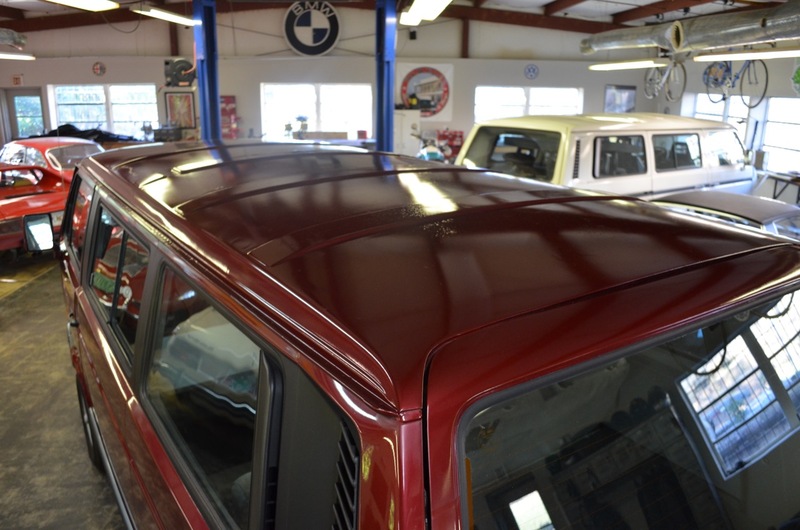 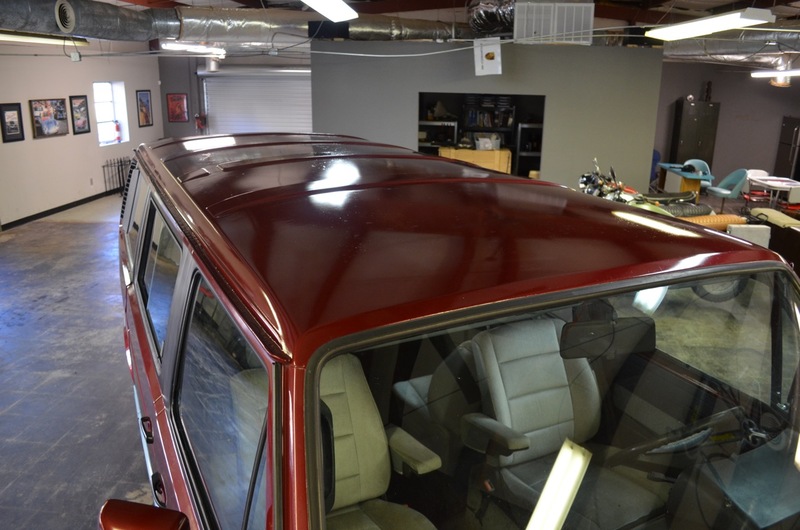 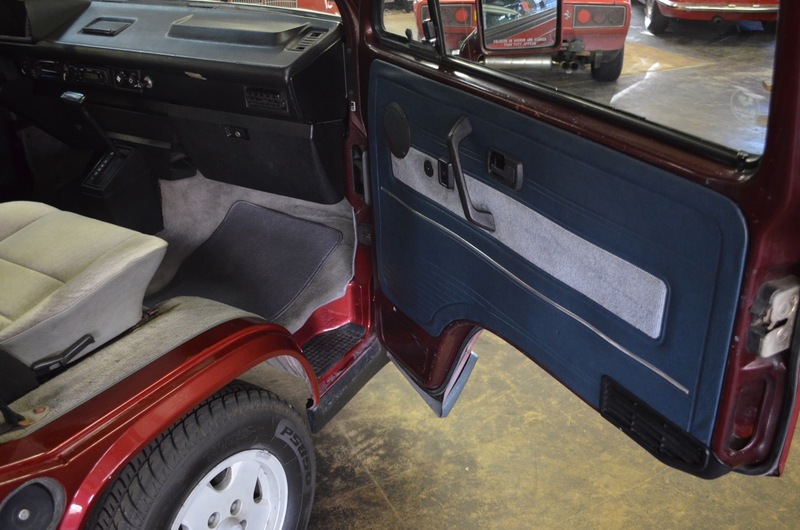 The previous owner repainted the original Bordeaux Red Pearl a shade lighter. 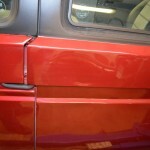 The paint shines and looks good. 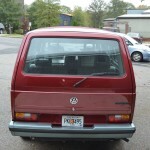 There is a roughly four inch dent at the rear of the sliding door but no scratches (see pictures). 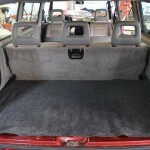 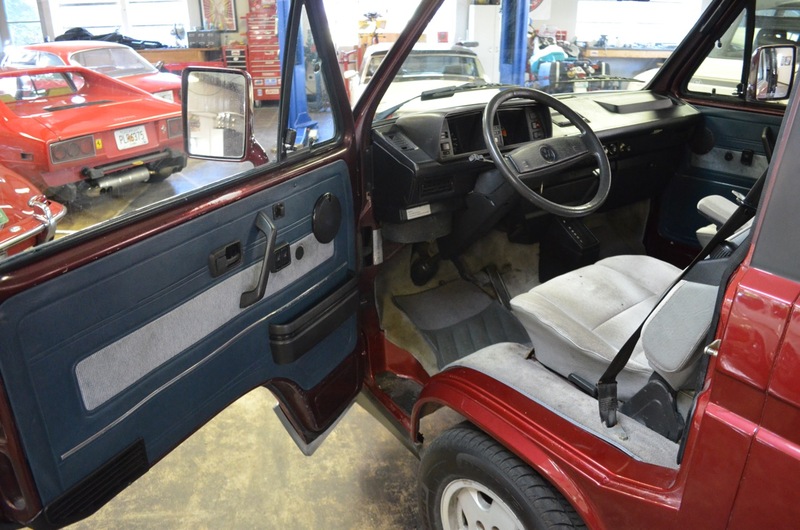 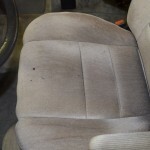 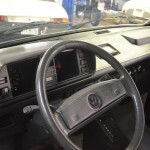 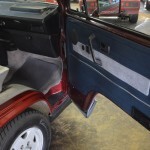 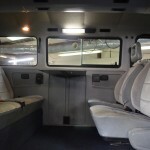 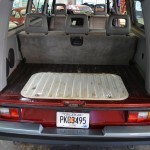 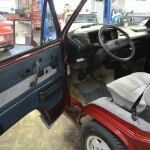 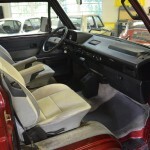 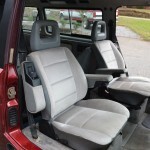 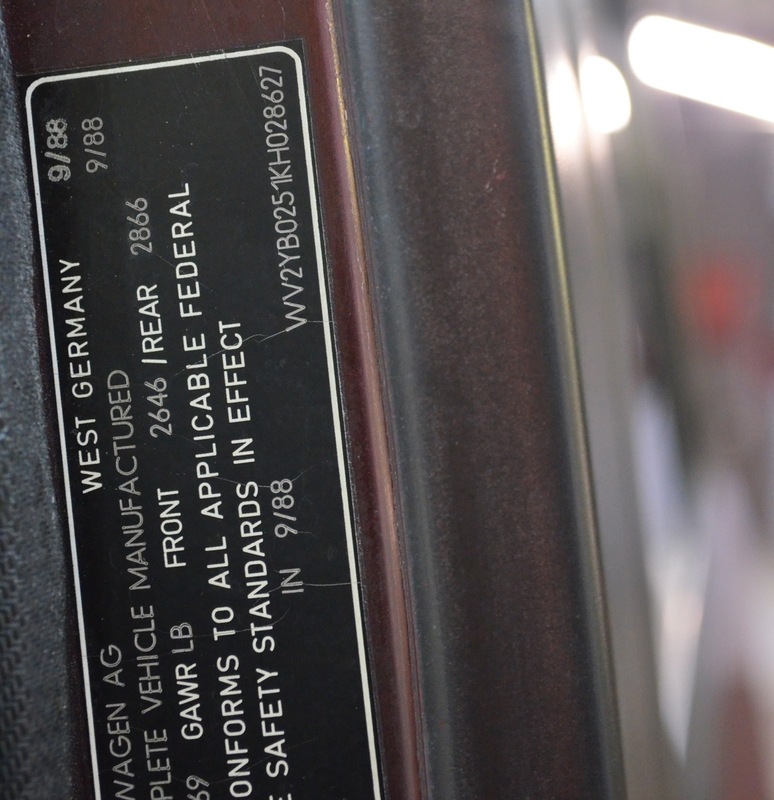 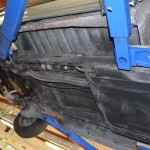 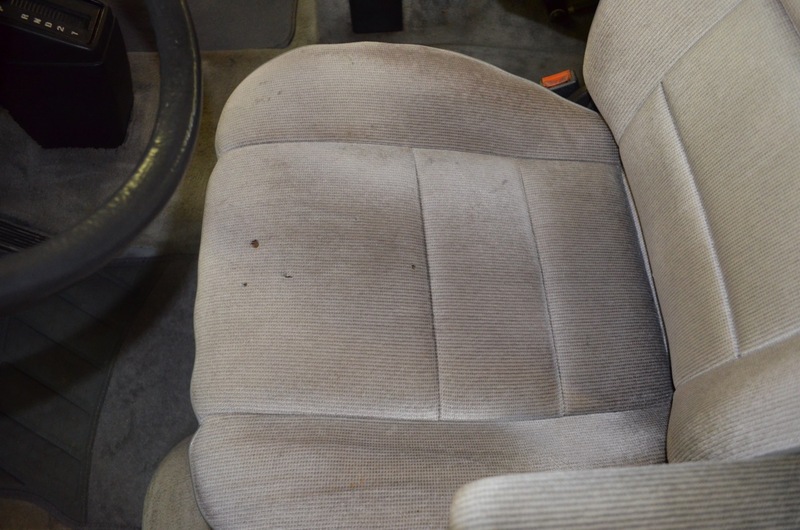 The interior is in good shape with only slight wear and a couple holes in the base of the driver’s seat (see pictures). 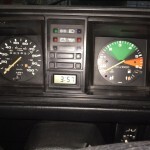 The bus has 227,157 miles on it however the odometer reads 83,897. 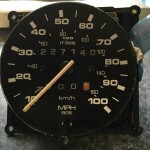 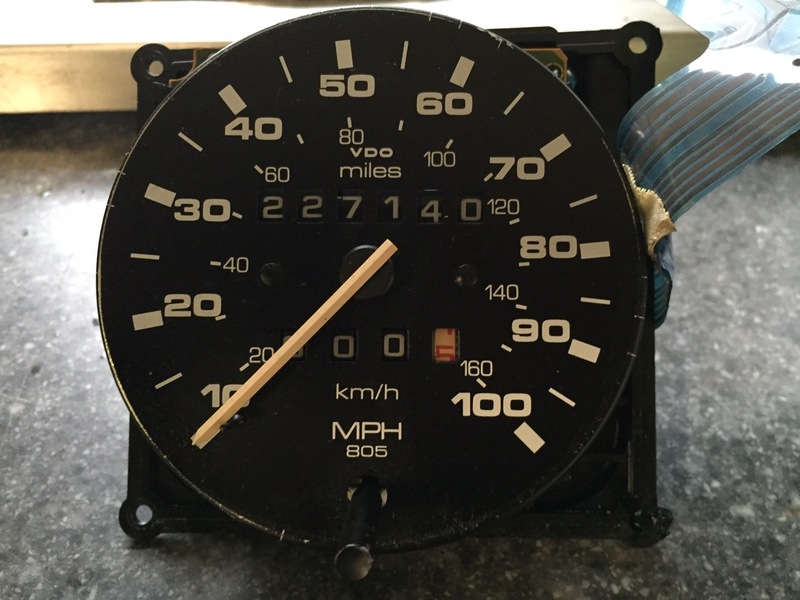 The original tripometer stopped working so the speedometer which houses both the trip and odometer was replaced. 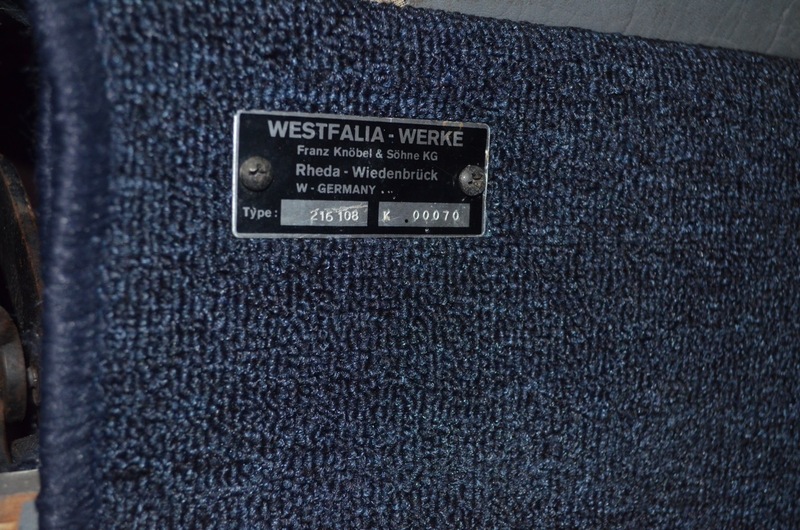 The original unit is included with the sale. 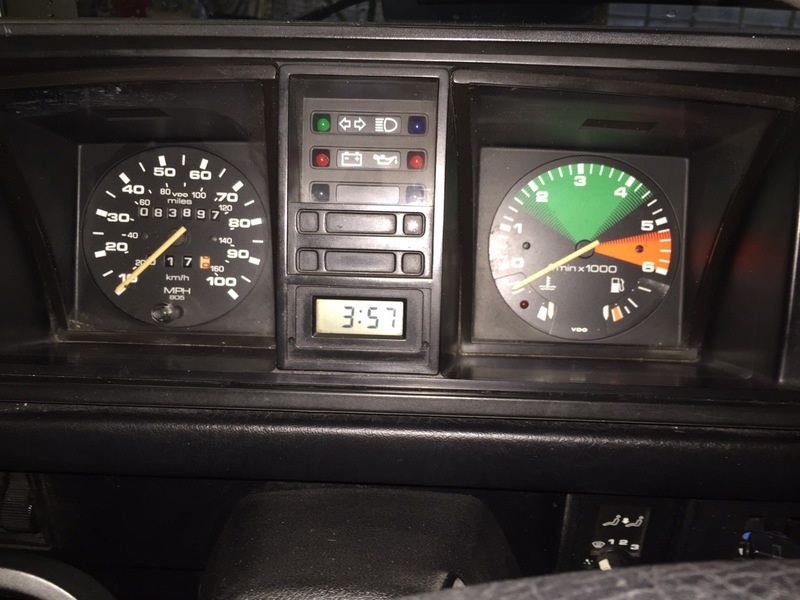 The fuel gauge stopped working (a common Vanagon problem) so you just have to keep track of the mileage between fill ups. 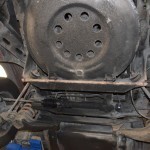 There is no rust above or below on this bus. 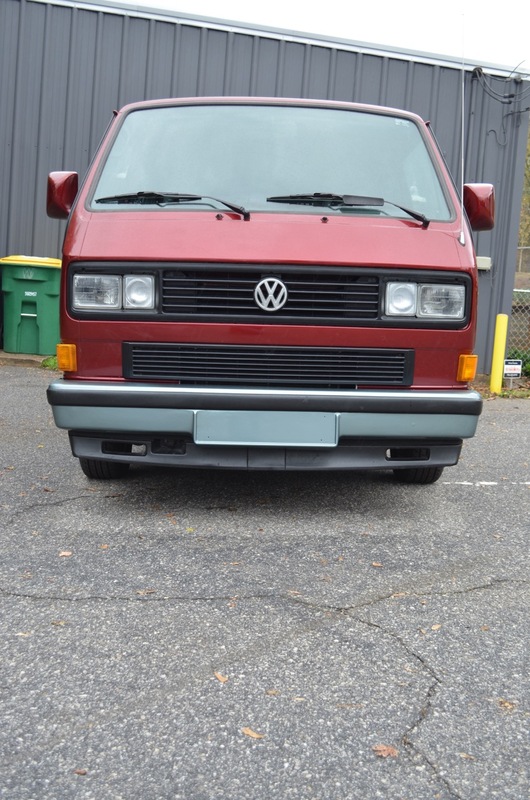 It has a clear Georgia title and is in Athens, GA. Feel free to email with questions or to arrange a time to view and drive it. 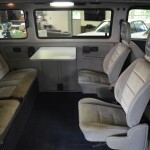 Asking $7500.